Robin Rose Bennett, founder of Wisewoman Healing Ways - Herbal Medicine and EarthSpirit Teachings is a compassionate herbalist, gifted writer, and empowering teacher. The focus of her healing work is to share the generosity of the earth and the magic, mystery, and beauty of the web of life. 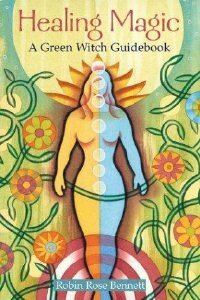 She is a spiritual midwife sharing herbal medicine to help people birth their true selves in this time of profound transformation. Since 1986 she has taught at schools, clinics, progressive and holistic organizations, herbal conferences, and most joyously, outside with the plants. She is a faculty member of the New York Open Center and of the Arbor-Vitae School of Traditional Herbalism. Robin Rose has been a regularly featured guest on radio and a guest lecturer at Albert Einstein College of Medicine, St John’s Hospital, Montefiore Teaching Hospital, Beth Israel’s Nursing program, and Brown University Medical School. Robin’s herbalist-in-residence program at a Bronx family medicine practice is in its 9th year of providing on-site training for herbalists by offering monthly herbal consultations to the community on a sliding scale donation basis. Robin works locally in her own community to educate people around sustainability and directs a volunteer-created and maintained medicinal plant garden for her town. 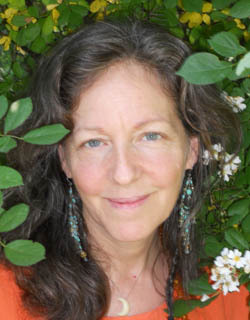 She wrote and published Wild Carrot: A Plant for Natural, Conscious, Contraception, Moon Meditation and Ocean Meditation CD’s, and is the author of the well-loved book, Healing Magic: A Green Witch Guidebook to Conscious Living. Her forthcoming book is The Gift of Healing Herbs, due out March 2014. For more information go to: www.RobinRoseBennett.com. Robin Rose Bennett will also be teaching medicine making and offering an intensive on moon magic and women’s wisdom at the upcoming Mid-Atlantic Women's Herbal Conference, October 5-6. You can visit upcoming events at Robin Rose's website for more details.